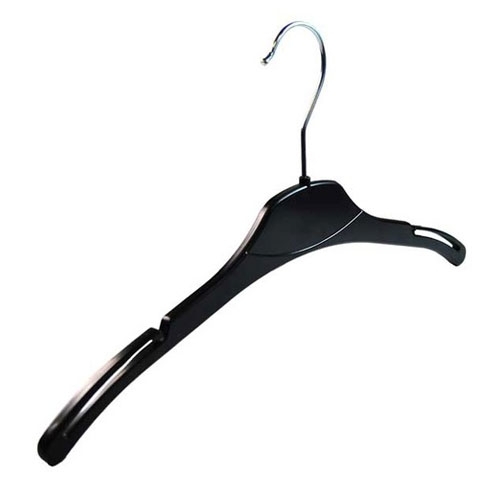 Black Plastic Dress Hanger, 38cm wide (Box Qty 600). This strong, stylish and durable tops hanger is perfect for the store environment and is also available in other sizes - 41cm. Our co-ordinated range of Eclipse hangers offer the best in style and versatility for the modern retail environment at very competitive prices. Available in a selection of Tops, Clip, Jacket and Suit hangers for ladies and menswear. The hanger is perfect for ladies tops, blouses, dresses and nightwear.